Takttrauma`s debut compilation refuses to compromise. 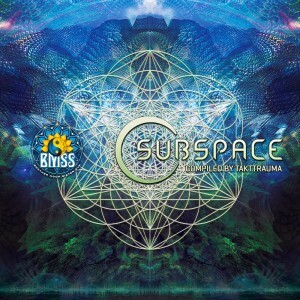 "Subspace" is an explosive selection of tracks that define energy, pacing, varying landscapes and textures. Developed over a 12 month period and inspired by collective experiences and connections made over his ten year career, the result is a symbiosis of nature and technology. Organic, synthetic, digital, analog, this compilation takes you on a spontaneous trancendental journey. These seismic tracks are a seamless flow of nighttime energy and day time joy. Escape from your urban cage into a wilderness of groovy crackling sounds that defy space and time. Swirling sounds and clarion calls from the Psychedelic forest will magnetize any open air dance floor. Reawaken your primal energies. Return to the primeval forest. Reconnect with your inner child.